A new Mom and Dad will love getting this to sit or hang in the baby's nursery. 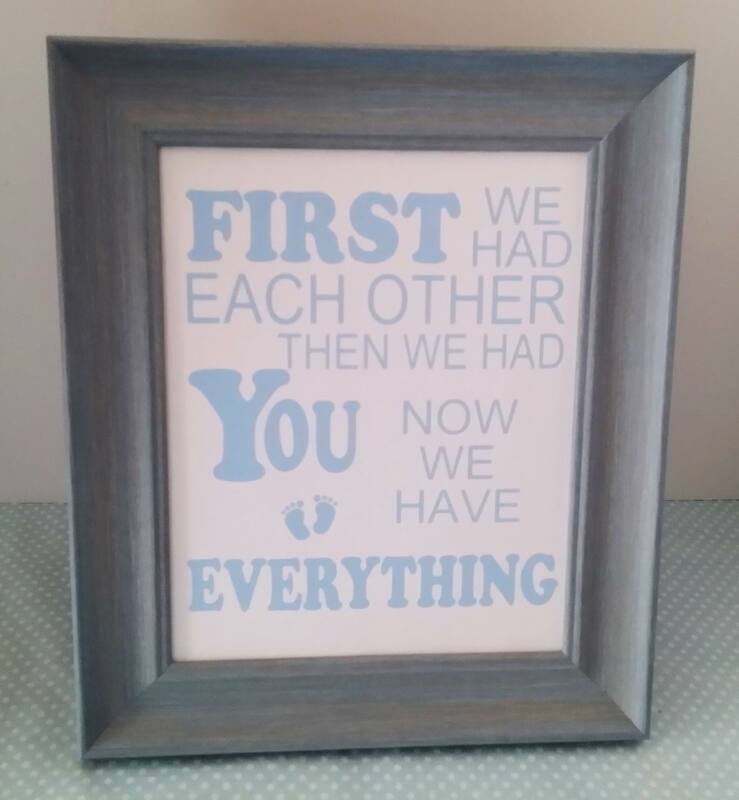 Wood frame with vinyl letters and baby's foot prints. Make a great baby shower gift, christening gift, etc. The words are under glass and the frame can be hung or sat on a table. 11" wide x 13" high.